The Personalized Learning Programs department at Hanover High School encourages students to develop meaningful and productive learning relationships and embark on educational experiences that are tailored to their needs and interests. We believe that when students are actively involved and responsible for their learning they develop confidence, motivation and self-direction as they move from structured, supported learning environments to collaborative and independent work. Students who would like to improve their school performance by understanding their learning style and by applying study and learning strategies can schedule a meeting with the ARC/PLP Coordinator. In that meeting, students will identify their academic strengths and can discuss areas they would like to improve. Students learn about and can experiment with study strategies that are based on the latest brain-related research conclusions. Strategies include, but are not limited to, setting short, medium, and long term goals, organization, time-management, memory, note-taking, test preparation, textbook reading strategies, and listening skills. For more information about learning strategies, visit the ARC webpage. Academic advising and support is available through the PLP Academic Advisory Program. Students are paired with a faculty member who meets with them weekly to develop goals and make plans for improving their school performance. Advisors also monitor student progress and communicate with teachers, counselors, and parents as needed. The program is ideal for students who are working toward becoming active and independent learners. Students and families can be referred to the Academic Advisory Program by the Counseling Department or they can contact the PLP Department directly. Supervised Study is a credit-earning elective (1/4 credit per semester) that meets daily. The course provides students with a quiet and structured place to work and offers academic support in all subject areas. Students meet privately with their Academic Advisor (teacher of the course) at least once a week to review course information on Powerschool, discuss their school progress, and plan ahead for upcoming work. 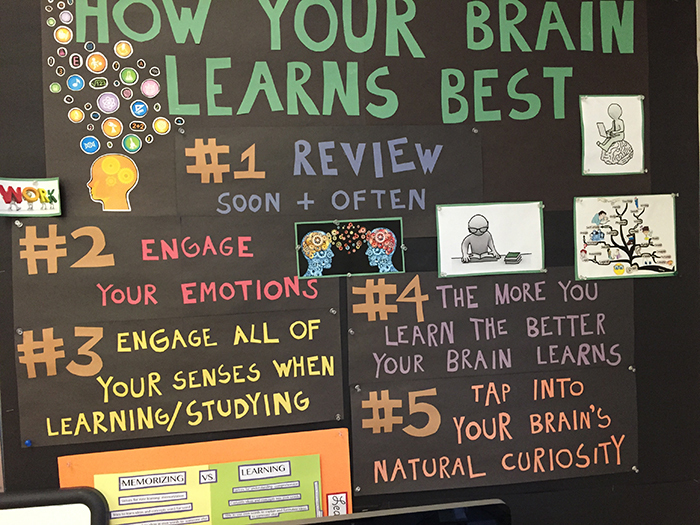 Study strategies, which coincide with the way the brain naturally learns, are presented to students both in class and during weekly 1:1 conferences. Study and learning strategies are tailored to meet students’ individual needs and coincide with the work they are doing in their classes. Developing self-advocacy skills and and emphasizing the importance of personal responsibility/accountability are ongoing themes. Advisors monitor each student’s performance and communicate with teachers, counselors, and parents as needed. Supervised Study is included in the HHS Program of Studies and students sign up during the course registration process. Students design and implement a semester-long, credit-earning independent course of their choosing. Students who would like to spend a semester developing a personal interest and/or skill in depth for school credit are invited to propose their ideas to the ELO Coordinator. Requirements for credit include attendance at biweekly meetings, a minimum of five hours per week devoted to the project, and a journal submitted biweekly with ongoing and up-to-date commentary on activities and progress. At the end of the semester, students will submit a paper or previously agreed-upon comprehensive project that presents their finished product/ experiences and reflects on the goals they have accomplished. Options for Independent Study can include, but are not limited to: Internships, Community Mentorships, Community Service/Volunteering, Work Study, out-of-school instruction, in-depth study of a topic of interest, creative writing, art, or music projects. Completion of a detailed proposal is the first step toward being accepted into the program. Once complete, students arrange to meet with a Dresden Plan Supervisor to present and discuss their plans. A contract will be developed and signed outlining the requirements and timelines for the project. This process must be completed before the end of the second week of the semester. The Senior Bridges Interdisciplinary Project is an opportunity for second semester seniors to work on an intensive project of their own choosing. Seniors are invited to engage in independent study projects in any subject area(s) extending beyond the boundaries of our current curriculum. Although projects can be in any area of student interest, each will require that the student research the topic, work with a community mentor, write a substantial amount, create a tangible project illustrating what was learned/accomplished, and prepare a presentation about the topic for a class or panel of community members, students, and teachers. Credit areas and course hour commitments will be determined on an individual basis, depending upon the scope of the project as defined by students in their application forms. The Paper: Acquisition of knowledge. The student learns about a topic by observing, researching, interviewing and writing. The Project: Application of knowledge. With the help of a community mentor and a teacher-advisor, the student participates in a project—resulting in a tangible product or an experience, or both. The Presentation: Synthesis of knowledge. The student presents findings to an HHS class or to a panel consisting of the community members, teachers, and students. Seniors are invited to engage in independent study projects in any subject area, perhaps extending beyond the boundaries of our current curriculum. Although Senior Bridges interdisciplinary projects can be in any area of student interest, each will require that the student research the topic, work with a mentor, write a substantial paper, create a tangible project illustrating what was learned/accomplished, and prepare a presentation about the topic for an audience of teachers and students. Credits and course hour commitments will be determined on an individual basis, depending upon the scope of the project. The Personalized Learning Department oversees the following academic support services. For more information contact the PLP Coordinator, Amy Good. Students with a disability that substantially limits one or more of their major life activities can receive accommodations, according to a team-developed plan, that allows them to access HHS programs and curriculum. For more information please read the HHS 504 Process.